CLUJ IT Innovation Days is a regional event organized by the CLUJ IT cluster to strengthen the relationships with national and international partners and to consolidate the local IT community in Cluj. The first edition of CLUJ IT Innovation Days took place on the 20th and 21nd of March, 2013. 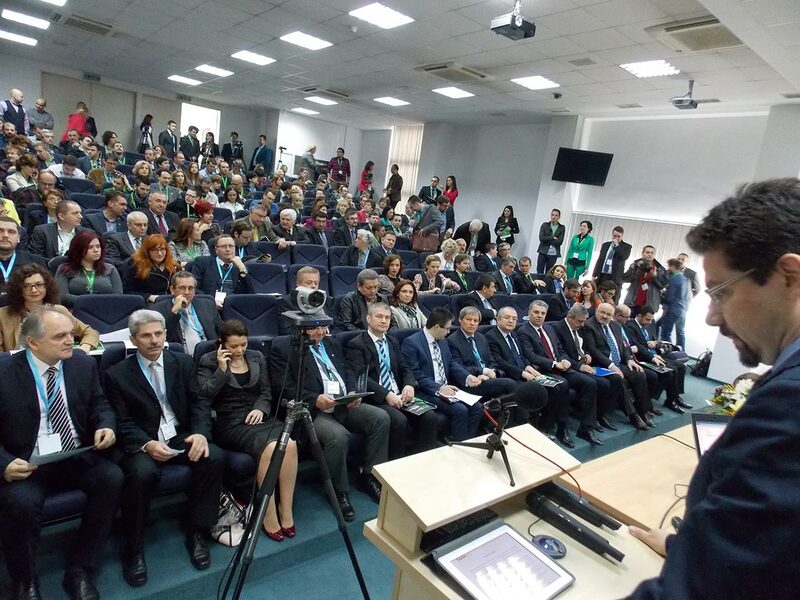 The first day ramped up with an opening ceremony that gathered almost two hundred participants from the business, government and academic sectors. This popularity proved once more that Cluj had been nominated the IT capital or Romania on merit alone. The city benefits from the full support of the Government and of the local authorities in implementing the cluster’s strategic plan. Representatives of the Romanian Government, Cluj County Council, Cluj-Napoca City Council and the US Embassy in Romania presented their messages of support. The keynote speech was offered by Mr. Jean Michel Corries from the IBM Rearch Lab, La Gaude, France. An important moment was that of the presentation of Cluj Innovation City. The future innovation hub will be focused on building competence centers and will attract most of the IT companies from the Cluj region, together with other innovative companies and supporting industries. The second day of the event was knowledge-focused, with business and tech presentations dedicated to the local IT community. A first section – IT Community – Business – featured presentations on venture capital, innovation, creativity and emerging technologies. The IT Community – Technology section was held at the Technical University of Cluj-Napoca and proposed subjects such as mobile computing, cloud and Agile and provided career advice to future Romanian software developers and software testing engineers. The opening ceremony can be viewed on privesc.eu. CLUJ IT cluster is an association comprising 23 privately owned companies, 2 universities and 7 public institutions and catalyst organizations. The cluster aims to increase the attractiveness of the Romanian IT industry through competitiveness, innovative software products and services and consolidation of the public-private partnership. The cluster’s web page: www.clujit.ro.